Born in Albuquerque, NM, on November 5, 1944, to CY and Mary Axtell, Nancy is the fifth of five girls. The only person in the family to develop an interest in rodeo, Nancy was active in junior and high school rodeo, winning numerous barrel racing and all around titles. Nancy gives heartfelt thanks to her parents for the horse and the opportunity to pursue the sport of rodeo in her childhood as that experience ultimately provided her with a lifetime of enjoyment. In 1964, she married PRCA NFR bullfighter John Tatum, with whom she has one son, Shane. In addition to traveling the rodeo circuit with John, Nancy clerked a cattle sale for twenty years and founded Tatum Hay Sales, which has been a successful family business for 32 years. Today, Nancy and Shane run the business together with the able assistance of long time employee, Ricardo Portillo, who, according to Nancy, is the real reason for the longevity and success of Tatum Hay Sales. 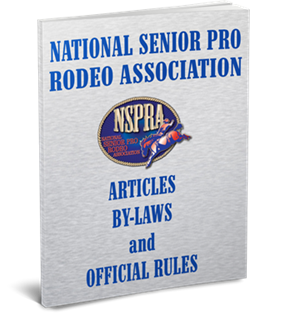 Nancy joined NSPRA in 1991 and quickly made her mark in the ribbon roping and barrel racing events. Teamed up with the great roper, Lawrence Coffee, she won three World Champion Ribbon Runner titles. Mounted on her “wonderful” mare, Natalie, she won a World Champion Barrel Racer title. Her success in the two events led to winning two World Champion All Around titles and one reserve title. Always a strong supporter of NSPRA, Nancy has donated untold amounts of time and money – often behind the scenes – to the Association. From 2000-2006, she was the prime force behind the implementation of the NSPRA Circuit System, an accomplishment she is especially proud of. Nancy is currently involved in a new venture, the production of the NSPRA Auction and Luncheon. Nancy credits Shane Tatum, Ricardo Portillo, Dan Stringari, Lawrence Coffee, Bill Nevill, and others too numerous to mention, for making her rodeo travels and successes possible.